As our social landscape has changed over the years, so has the expectations of our customers, that is why here at Midland Car Parking Ltd (part of the Nottingham Security Group) we pride ourselves on being able to ensure that we deliver and maintain a professional, efficient and cost effective service which is best suited to your business needs. With the frequency and spread of car crime, and the introduction of systems such as the Workplace Parking Levy, the urgent need for car park security has become more and more of an inevitable consequence. Midland Car Parking are committed to providing its customers with the highest quality of customer service and car park security solutions. 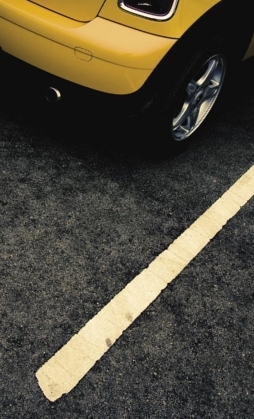 The company can help you create a safe and secure car parking environment, by providing fully uniformed wardens who offer an extremely high standard of car parking security, this minimises public fear and reduces the opportunities for car crime to be committed. The presence of our wardens help deter criminals from operating in your area and giving you and your customers the peace of mind until you return to your vehicle. Apart from the static wardens we also offer a random mobile warden patrol service which acts as a crime reduction measure to any would be criminal intending to target any car parking area. The service Midland Car Parking operates, can be applied effectively to any size car park or event.